When you think of “Good Vibrations,” what do you think of? The Beach Boys? That would be normal, but what I’ve always thought of is Marky Mark and the Funky Bunch. However, I just saw a show called Good Vibrations at The Carolina Opry in Myrtle Beach, so see ya later, Marky Mark. A new memory’s in this clown. When we pulled up at dusk, the lights were winkin’ at me. 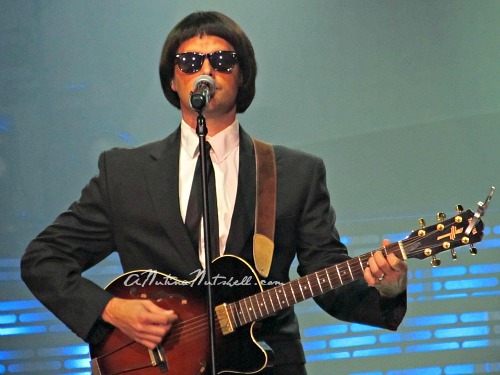 It was a musical stage show with songs from the 60’s, 70’s, and 80’s and….it was awesome! The performers sang, danced, and humored us through some of the most memorable songs of yesteryear, starting with ZZ Top. Lots of costume changes and props added to the fun. Do you remember the dance group, “All That” from America’s Got Talent? They performed too! Those boys can kick a foot and a leg around, let me tell ya. But this guy stole the show for me. Wow, what a voice. 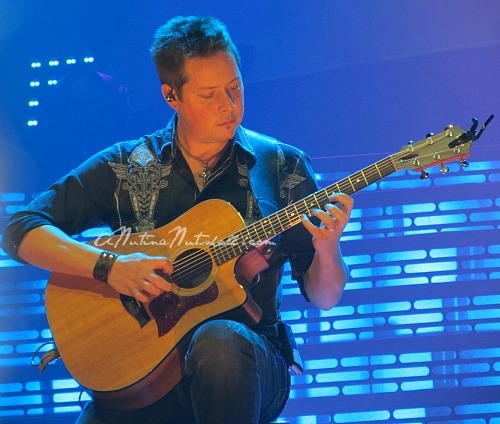 Brad Long – my pick as the vocal star of the show – AMAZING! If you’re ever in Myrtle Beach, go see this show. It’s really, really fun! I LOVED it! 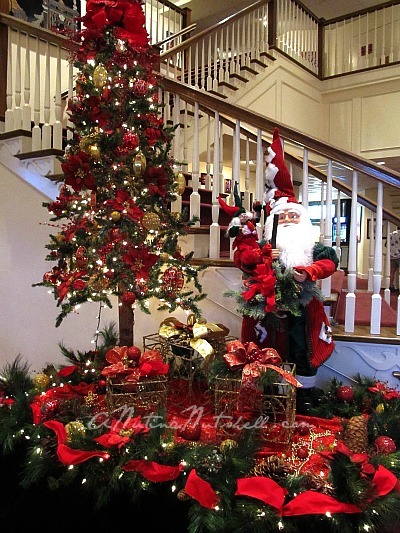 Beginning November 1st and all through the holiday season, The Carolina Opry presents the very popular Christmas Show! 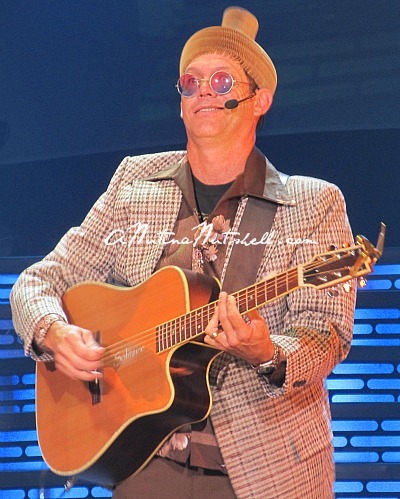 Visit the Carolina Opry website for the show schedule and to purchase tickets, and check out VisitMyrtleBeach.com for more ideas on things to do in Myrtle Beach. I have never made it to Myrtle beach. This looks like fun. I love Myrtle Beach! It looks like a fun show! You snapped some great pictures. this looks like one night of fun! Hahaha! Kick a foot and a leg around! You are too funny!!! That looks like it would be an amazing show! That looks like so much fun! I’ve never been to Myrtle Beach but I love some good cover music! what a fun place to go! Love all the “performers”! Cool, what a fun time! Being a huge music lover I think this is right up my ally. Sounds like fun! Lol @ Marky Mark and the Funky Bunch. I’ve been waiting for my youngest to get a little older so we can go. I haven’t been in decades, but this is one of the best shows down there, I think. How FUN!! 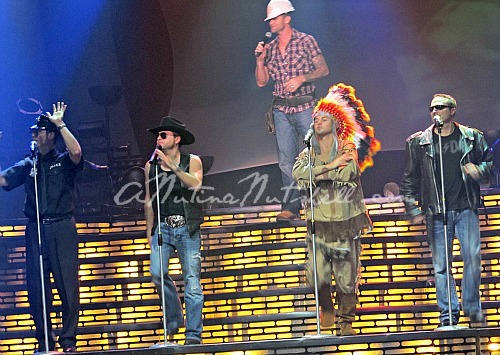 I see the Village People look alikes up there. Loved the YMCA song. I used to know all the words and be able to do some of the moves. I love Marky Mark! lol I haven’t been to Myrtle Beach in quite awhile but it definitely sounds like a fun night. Sounds like a lot of fun, but I’ll still think of Marky Mark. In fact, anytime someone says “it’s about that time” I always follow with “to break forth the rhythm and the rhyme”. Now I really want to go see that Christmas show – looks fun!! These photos are great! What a fun time. BTW, he will always be Marky Mark to me. I’m putting this at the top of my must sees the next time we go to Myrtle Beach! omg the costumes are marvelous. i , too think of marky mark. never just the funky bunch. WOW. I can’t think of any other word to describe that. WOW. Man that looks like it was a good time! I wish I could have been there! great selection of fun photos! I avoid MB like the plague, but this looks like fun! That looks like so much fun! I’ve never been past Iowa myself. I’ve only been to Myrtle Beach once and our kids were too small for a show like this. Now that they are grown, I think its time to head back. I love the Village People picture. Oh that looks and sounds like it would be so much fun! I bet the Christmas show would be amazing too! Looks like a fun show! Wish I were there! How fun! I’ve only been to a handful in my life (this includes a New Kids On The Block concert), but that should say a lot about my concert tastes, LOL! I love love love watching people perform this looks like a great time. Honestly, I have never seen a show maybe in like 3 years,that is when I started with my pregnancy I avoided crowded places. The photos showed what seemed to be a good night and a good show. Oh this looks like such a fun show. I know this tells my age but I thought of the Beach Boys!! I love to see shows like this! Looks like a lot of fun. Love me some Marky Mark! That show does look like fun. One day when I finally make it to the Carolinas, I’ll have to remember to check out the Opry. Did I tell you this is oceangirl. Ha! I totally thought of Marky Mark in that first part! Myrtle Beach gives me good vibration. This looks like a fantastic show! Such a great variety of performers, I sure wish I lived closer!!! That looks like so much fun! Wow, they really put on a show! You are so lucky to have gone to this really awesome place to listen to music! I would love to go here. It looks like they really put on a great show! It would be so neat to go there at Christmas time! I bet you had fun! I bet that was a really good time. Sounds like a fun show. I’d forgotten all about that Marky Mark song – I actually like it. But I mostly think of the Beach Boys and the eerie sounding Theremin they used. Sounds like that was a fun show! Fun! Only a little two far away for me…. We enjoyed the Carolina Opry when we were there as well! 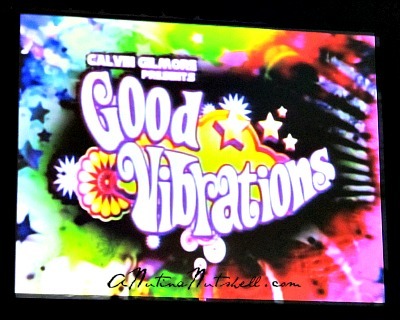 We didn’t see Good Vibrations though we saw the other show that featured the All That! cloggers – they were amazing! You don’t want to know what I think when I think good vibrations? Haha! J/k! Oh that looks like it would be a blast! Now that looks like great fun! I haven’t been to Myrtle in years. sounds like you enjoyed it–SORRY CANNOT GIVE UP MARKY MARK!!! This looks like SO much fun and I bet it’s a blast at Christmas!! My husband and I would love this music! How fun. I love that type of music! Sounds like a great show. How cool. I definitely think of the Beach Boys because my parents love them! Oh wow, that looks like a ton of fun! I love all of those outfits! Oh sounds and looks like a BLAST!!!! I’m going to be singing Marky Mark and the Funky Bunch all day because of this. Thanks a lot! Marky Mark – yummy, yummy, yummy!! Wow, looks like fun. I love music so this would be right up my alley. now that looks like loads of fun! Sounds like so much fun! What a great variety of artists/performers! looks like a blast. i love shows like that. I’ve always wondered in those ZZ beards are real. Wow oh wow! What an incredible time you had there…Talk about a trip down memory lane I can just imagine all the fun songs and entertainment!!! I already have Good Vibrations stuck in my head now!!! I need to go somewhere like this. It’s different and seems like a very good experience. OMGosh I would love to see all that!! I’m so glad also to see All That got something, they sure were good! What a fun trip! Great pics. What a great line up of entertainment! Looks like you had a wonderful time. I would love to see “All That” perform!! Sounds like a fun filled night. I am so out of touch I didn’t know there way an opry in Carolina . . .LOL! How fun was that????? Super fun. I love shows like these! Looks like it was loads of fun! Eek Christmas show! All the premature decorations should cue me off- but I can’t believe Christmas is coming so soon! Glad you had a great time at the show, sounds fun. lol looks fun!! wow- what an experience! I have been wanting to visit Mytle Beach. I hope to go here when I do! Looks awesome! I bet that was SO fun! That looks like such an entertaining show!! I never knew Carolina had an Opry so thanks for sharing. One of the longest trips on my life when when my Daddy drove us from NY to Nashville because he was a die hard country music fan. 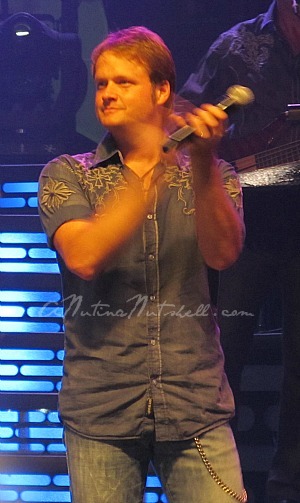 In regard to the Carolina Opry shows, I have seen them all. It is a “must stop” activity when I am in Myrtle Beach, regardless of how many times I have seen it, I have to always go. Love the performers who are so down to earth and always willing to speak with you after the show. Sad that some of the performers that I saw when I first attended many years ago are not longer there for one reason or another, but no matter, it’s always the best show in town. Will soon be there again and I can’t wait. When I was a kid, about 7 years old we went to Myrtle Beach. My dad was a teacher and they were on strike, so he took his family on vacation. lol! Cool – that looks like a really fun show! It looks like a super fun time!! 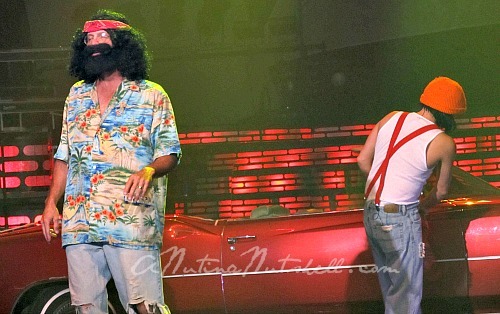 I just love how they even incorporated Cheech & Chong. I am seriously jealous! 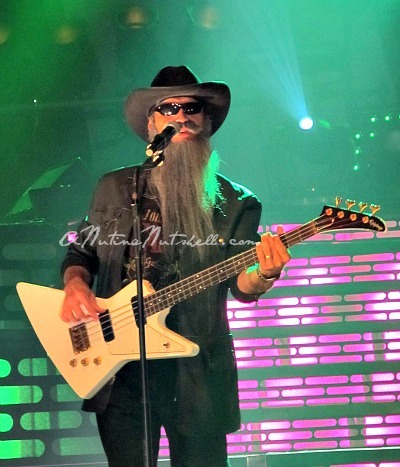 A. I love Carolina Opry, I love the beach, and you got to see ZZ Top! I tell ya, when my darlings are grown, Mama’s travelling again! I’ve been there once when I was a little girl, but it seems like something that would be cool now too! I would think the beach boys too. Looks like a good time. Looks like a pretty fun time. I am not much for concerts but this looks like more than just that with music and comedy all wrapped up in a great night of entertainment. Thanks for the review! Love Myrtle Beach and would have loved this show. Will saying, “it is my kind of music” admit I’m old? I don’t usually go see shows because I am afraid they will be horrible and then I have wasted a lot of money but after reading your review I will definitely be going to this one the next time I go. Thank you so much for sharing. I didn’t know there was an Opry in North Carolina. My son lives in North Carolina but he’s been deployed for awhile so I’ll excuse him for not mentioning it. 🙂 I LOVE ZZ Top. The show looked great and I’m definitely going to check it out when we visit on the next holiday he’s home. Thanks for your post. Sounds like a lot of fun. Loved the pictures, the costumes made me laugh. Looks like a fun show! I remember All That; they do have talent. What a fun experience! Thank you for sharing! That looks like such a fun show. Something my mom and I would enjoy. That sounds like a TON of fun!!! Will you go back for their Christmas program? This looks like such a fun show to see! That looks like sooooo much fun! Thank you! This looks like so much fun! Can that please be my job? Can’t I just go sing on a stage somewhere all day? It looks like an amazing time!!! WOW! How fun!! That looks like a really great time! I will have to see this the next time I am at Myrtle Beach. Thanks for sharing. Looks like it was fun all around. Glad you had a good time. That had to be so much fun, I would love to see that show. Live entertainment is always fun and who doesn’t love 60’s, 70’s and 80’s music. Thanks for letting me know about this. I think I will be in Myrtle Beach come summer. We haven’t decided if we want to go there or Outter Banks. This show looks like so much fun. I wish there was something like it up here in Boston. Yay! Christmas! Looks like you had a blast. Lol. Wonder if I’ll ever go to Myrtle Beach…..
That looks like a ton of fun!! You are the partyingnest girl ever. Would love the Christmas stuff. I could look at that decorating forever. People are so clever. Looks like a ton of fun for sure! I’ve always wanted to visit The Carolina Opry, this would be a lot of fun. This show looks like lots of fun! 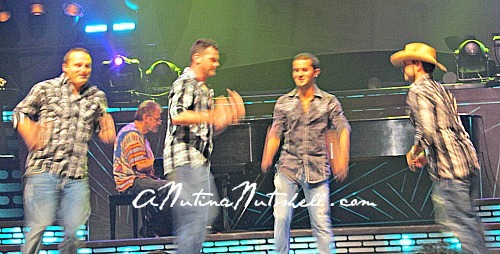 Great photos!!! Hubby would LOVE this! Now I’ve got the beach boys stuck in my head! 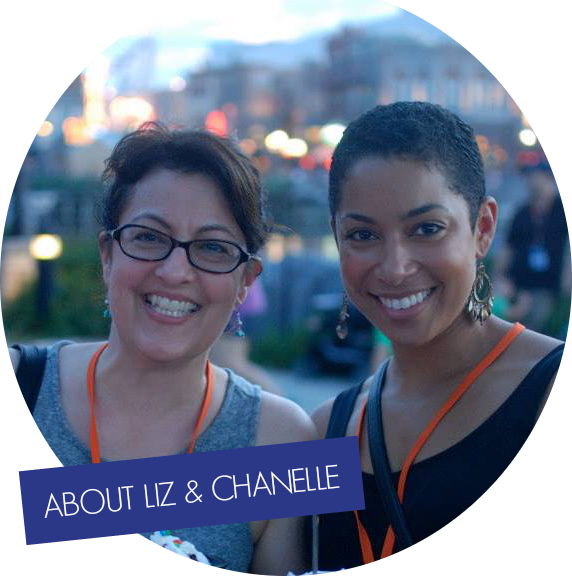 It all looks like great fun – I LOVE live entertainment! I’ve never been to Myrtle Beach but I’d like to some day! Woo Hoo that does look like fun! 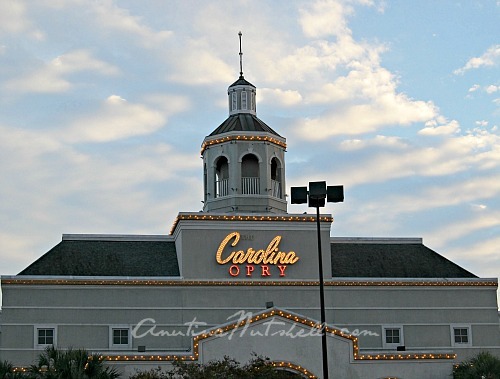 We went to the Carolina Opry Show in Myrtle Beach, but it’s been years ago. I would love to go again and see this show, it sounds like fun! i’ve been here! Fun fun place! Hey… I’ve been there!! I think it was a different show that we saw when we were there though. Either way… it was pretty good! I don’t know why people go all the way to Florida when Myrtle Beach is so close. The palm trees and water remind me of the tropics.